With Cincinnati poised to hold its fifth Major League Baseball All-Star Game tonight, a new crop of history makers will emerge from the contest. 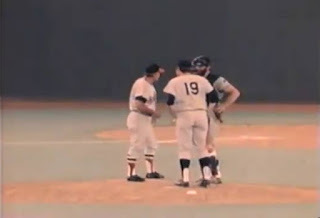 Some 45 years ago, the Queen City was the site where baseball lore was written when Pete Rose barreled over Cleveland Indians catcher Ray Fosse to score the winning run in front of the home crowd at the 1970 All-Star Game. Rose emerged from the collision triumphantly in victory while Fosse suffered a shoulder injury that ruined a promising career. If one of the participants in the game could have taken one pitch back, Rose’s infamous moment might have never happened. The American League had a 4-1 lead with one out in the ninth inning but with the left-handed Willie McCovey of the San Francisco Giants due to bat, manager Earl Weaver called down to his bullpen for New York Yankees left-hander Fritz Peterson to shut the door. As Peterson approached Fosse and Weaver on the mound, the Orioles manager was confident that the Yankee would do the job. In his recently released autobiography, “When the Yankees Were on the Fritz: Revisiting the Horace Clarke Era,” Peterson recounted his memorable experience with victory so close in reach. As Weaver predicted, Peterson quickly had the upper hand. Staring down McCovey ahead in the count 0-2, Peterson threw his patented slider with the intent of inducing the Giants slugger into a game-ending double play. Unfortunately, a mere few inches separated his dreams from reality. “I got ahead of McCovey 0-2 and threw him a slider on the outside corner which he hit for a ground ball base hit just past Davey Johnson’s outreached glove at second,” he recalled. Still some 45 years later, of all the pitches Peterson threw in his 11-year major league career, his offering to McCovey was one that he wished he had a mulligan for. An inch off the plate to McCovey and a few inches closer to Johnson, Peterson could have changed the course of baseball history. One would have remembered how Peterson closed the door for the American League without Rose ever having the chance to run over Fosse on Jim Hickman’s game-winning hit.